Whether they like it or not, animals need to adapt to climate change, and they do, some more successfully than others. Unfortunately, the Emperor penguins of Antarctica are not one of those and researchers warn we could be in danger of losing them by the end of the century. Researchers from the Woods Hole Oceanographic Institution (WHOI) in Massachusetts studied the viability of Emperor penguin populations migrating as a result of deteriorating sea ice conditions due to climate change. Their results revealed that most of the known colonies’ populations will drop by 50 percent by 2100. Emperor penguins breed and raise their young on fast ice – ice that covers sea water but is attached to land. As temperatures in the Antarctic warm and sea ice melts, these penguins are losing their habitat, meaning they have to adapt and even migrate to find another suitable place to live. It was only recently that scientists discovered penguin populations affected by climate change were migrating to find more suitable conditions. 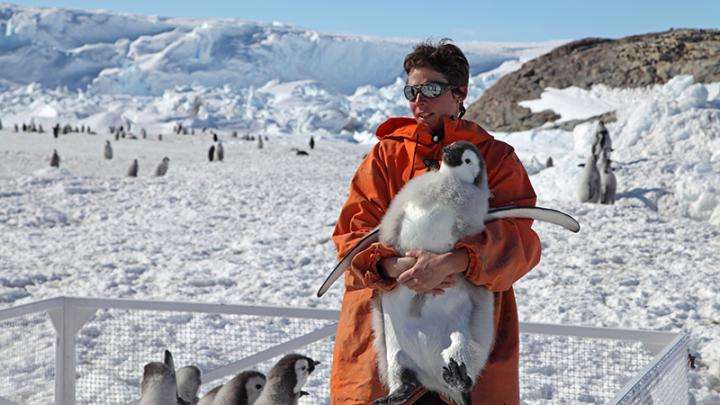 So the WHOI researchers, whose study is published in Biological Conservation, decided to determine whether the 54 colonies of Emperor penguins currently known in the Antarctic could migrate to avoid population decline from climate change. Using data from the Pointe Géologie’s long-term penguin studies, they teamed up with mathematicians to model various scenarios and factors, including penguin dispersal distance, behavior, rate of migration, and climate projection forecasts for the end of the century, and then applied this to each colony to predict their fate. “Given this outlook, we argue that the Emperor penguin is deserving of protection under the Endangered Species Act,” she added. Emperor penguins are the largest of the 18 species of penguin, with an average adult reaching 1.2 meters (4 feet) tall and weighing about 40 kilograms (88 pounds). This new research will be added to the status review launched in 2014 by the US Fish and Wildlife Service to decide whether the Emperor penguin should come under the protection of the US Endangered Species Act, although with the current administration's views on wildlife protections, they may be waiting a while.